How can a blog from a hypnotherapist help me? Any blog is about sharing information – facts, opinions and ideas. Any good blog is about giving you new information – facts you may not have known, opinions that make you think, ideas that give you a new perspective, a new way of looking at things. 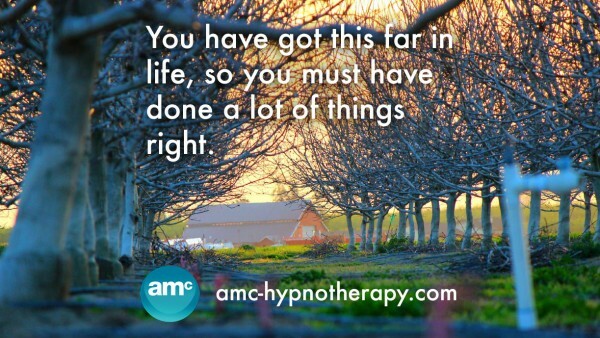 You have got this far in life, so you must have done a lot of things right. Take a moment to reflect on some of your past successes – feels good doesn’t it? What are some of the things in your life that you are not happy about? What are some of the issues you have faced that keep coming up, no matter how hard you try to change them? What do you want to achieve, experience and enjoy over the coming months and years? Getting clear on what we want is the first step. Then we need to know how to get what we want. For example, it’s not enough to know that eating healthily and exercising regularly will keep you slim. We need to know how to control our thoughts, how to manage our emotions and how to change our behaviours to get slim and stay slim. So, how can a blog from a hypnotherapist help you? By giving you insights into how the mind really works. By giving you simple techniques that will help move you towards your goals and dreams. By giving you access to the best information available to help you live a happier life. Stick with me – I’ve got a lot to share! Next: Did you know you can control your mind?